This entry was posted on Friday, December 16th, 2016 at 2:46 AM and is filed under Business, Canada, InterviewByKempton, InterviewByKempton-Business, YouTube. You can follow any responses to this entry through the RSS 2.0 feed. Both comments and pings are currently closed. Thanks. When I saw the Financial Post article by Ms. Kristine Owram, I promptly quoted her in the above post. In my latest Dec 20th update, I’ve linked to a CBC News report to add latest confirmation by Flair and clarification by both NewLeaf and Flair. 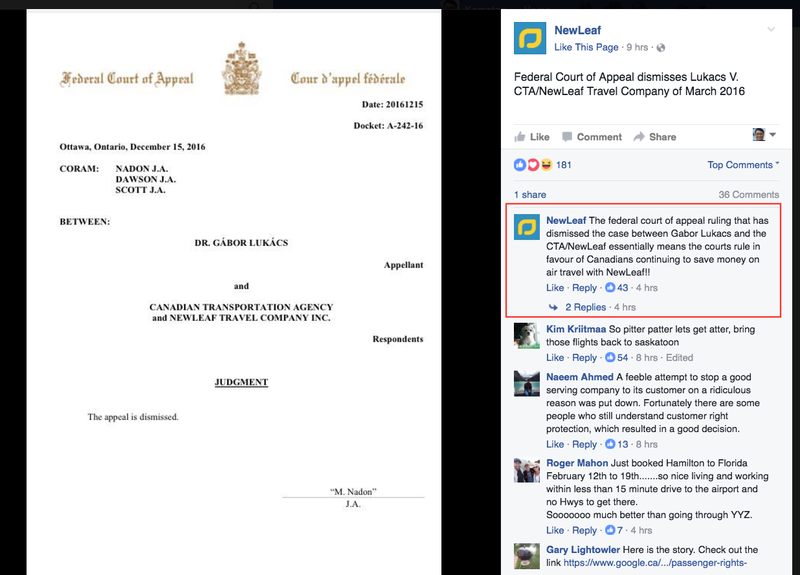 I called the clarification “Win-win-win for #CDN travellers”.